Have you thought a lot to come up with a special way to promote your pub? How about promoting happy hour with attractive flyers? 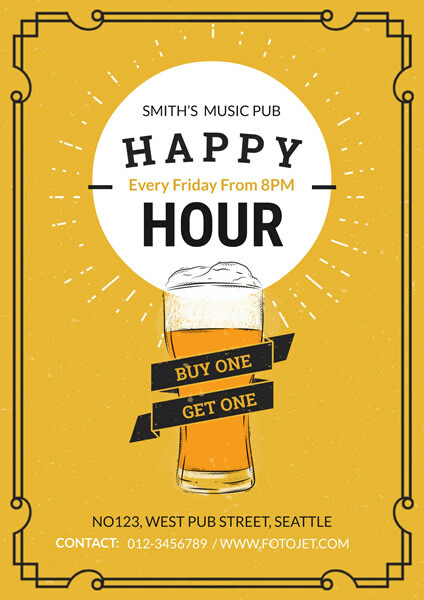 And it is an effortless and money saving thing to make happy hour flyers with the well-designed template like this one. This flyer template with the bright yellow background and bold theme text offers an easy way to make your own flyers. Just go with this template to make more adjustments to suit your taste.